Service is a way that young people can contribute to their community while at the same time receiving something in return. And like most habits it is most effectively developed at an early age. 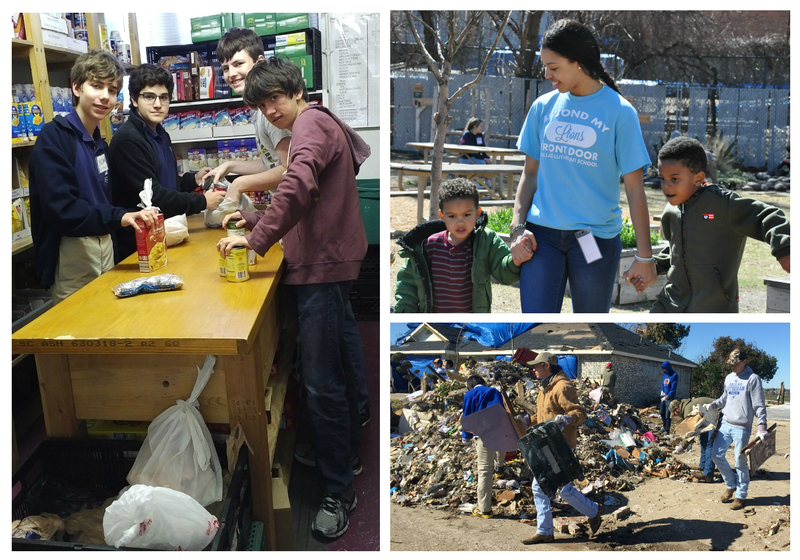 Research shows that students’ grades improve when they are involved in community service; they exhibit fewer instances of at-risk behavior; and they have more involvement as an adult in the community. It is the belief of Dallas Lutheran School that it is important for our young people to learn about civic responsibility and service to their community and those around them. We have implemented a plan to designate two school days each school year for community service. We will be transporting the entire student body to different venues to do various types of community service. Some of the partnering agencies normally designated are: Achievement Center, Vogel Alcove, Brother Bill's Helping Hand, Dallas Ramps, Mt. Olive Food Bank, White Rock Center of Hope, Vickery Meadow Learning Center and Project Transformation. We always involve students, the group Lutheran Leaders, in the planning of the various projects and leadership of their peers at the service locations, and to secure transportation and supplies needed (another part of the learning process). If you have a project that would be appropriate for us to take part in please contact the school office. Likewise, if you have a desire to help us in any way in this venture with transportation, supplies, muscle, etc. we would like to hear from you.